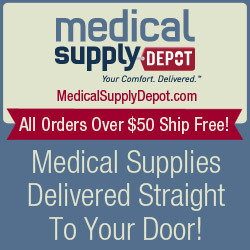 Medical Supply Depot. Your Comfort. Delivered.? Free Shipping over $75. Shop Now! Flat 10% OFF on all Wheelchairs & Free Shipping. Use code MSDO10 at checkout. Exuderm Odorshield Hydrocolloid 4" X 4"
Exuderm Odorshield Hydrocolloid 6" X 6"
Exuderm Odorshield Hydrocolloid 8" X 8"
Copyright © medicalsupplies4all.com All rights reserved.